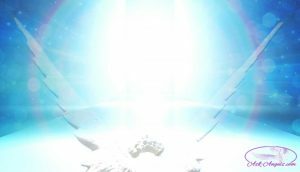 Angelic Activation with Archangel Uriel! A new realm of possibility is opening up before you now… And right on time Archangel Uriel connects with a powerful Angelic Activation to help you integrate the new energy and step into the next phase of your life experience. Simply relax and listen as you are guided to connect with your team of guides and angels, cleanse and rejuvenate your energy, and harmonize with the universe to align with the infinite possibility available to you now. You're far more powerful than you realize and this Angelic Activation with Archangel Uriel will help you to effortlessly realign with your infinite light, authentic potential, and spiritual power so you can manifest blessings of joy, love, and abundance in your life. This Angelic Activation with Archangel Uriel is SO powerful… I'd normally charge at least $11 for an activation like this, but I was nudged that it's really important to share, and so I'm giving it to you as a gift for FREE. Simply click the link below to listen to this powerful message from Uriel… You can also right click the link to save the message to your computer. (Hold ctrl and click on mac) or (Press and hold on phones/ tablets). This message with Archangel Uriel has been transcribed for you below as well… Simply scroll down to keep reading! Greetings from Archangel Uriel and from your team of guides and angels, who are indeed present with you in this very moment—your guides and angels who are always near and ready to assist you in your life, in harmonizing with the divine plan and purpose for your being in the physical. Yet, you may not have noticed, experienced or felt the presence of your angels. Set this aside and know that you are supported here and now in lifting in vibration, harmonizing with the energy of divine light and love, and connecting at a real and profound level with your angels. We have incredible support, rejuvenation, guidance and love to offer you now. And so, let yourself relax. Breathe and let go. Your team of guides and angels are indeed present here and now and begin to support you by peeling away layers of tension, density or negativity, which may be attached to you energetically. An orb of light is placed around you to support you in shining brightly and to support in dissolving any lower vibrational energies, which do not serve. As you breathe in, imagine the divine light is filling your being. And as you exhale, let go. Let go and lift in the light that is all around you. Let go and lift in the love that is present here and now. Focus within. Imagine opening your heart. And as you do, light and divine frequency flow into this area to elevate the vibration of your heart chakra, to dissolve any past hurts, pain or wounds, or any negative residue or density, allowing the true unlimited magnificent brilliance of your heart light to shine through. You see, your heart is the portal by which you are able to access the infinite light of the Divine. And so by opening your heart, divine light is able to pour into this present time, entering into this time and space through your open heart, expanding to fill your entire body, mind and spirit with divine light, with infinite love—love that heals, uplifts, rejuvenates and inspires you to step into the new possibility, the new beginning, the next phase of your life experience. These doors are opening before you now, and the love of the Divine, the light of source, the infinite blessings of spirit flow through you to facilitate a smooth, powerful, beautiful transition. Open your heart wide. And as you do, your team of guides and angels step forward, surrounding you in wings of love. Feel, notice, experience your energy being slightly uplifted as you come into direct energetic contact with your angels now. It is like a weight has been lifted off your shoulders, a warm energetic blanket placed over your entire being, a feeling of love, a vision of peace, a knowing of being supported, loved and blessed, as you are now energetically uplifted. And so, the energy around you becomes lighter and brighter, the air is filled with divine presence and love, and the infinite power and support of the Divine, the unlimited love present in the universe enters in through your open heart. So within and around elevated frequency, divine presence, pure high vibrational love and light frequency are present here and now. Imagine your spinal column, as a cylinder of light, anchoring you to the heavens above and the earth below—united in your center, your open heart, which continues to allow higher and lighter vibrations to be felt and experienced by you now. There’s nothing you need to do other than relax. Breathe and be aware, as you are now tuning in to your authentic truth. For you have lived your life, up until this point, largely influenced by illusion, by the illusion that you are limited and powerless as a physical being. But simultaneously, alongside this illusion is your authentic truth, which you are catching a glimpse of through your open heart. The truth that you are one with God, goddess, source. The truth that you are one with the infinite power in the universe, in the cosmos, flowing throughout all that is. The truth that you are infinitely powerful in your ability to create and that you are creating your experience as a physical being. You are creating to grow as a soul, to experiment with the illusion of being limited, and to see what happened when you hid your power from yourself, as you have done up until now. But now, the doors are wide open—the doors of your heart are open, and the doors of infinite possibility are open before you. Step into the next phase of your experience. Instead of enduring limitation and illusion—and through your experiences, proving that life is hard and challenging, and that you are limited—reclaim your power from the illusion, reclaim your true authentic light to consciously elevate your experience and your ability to live in love, joy, harmony, in full alignment with the divine blessings of love, presence and light. And so, how do you reclaim your power in the present moment? By returning to love. And when you do, indeed, notice a challenge in your experience, an area of life where you feel limited, where you are being tested, which evokes a response of struggle. Step back, open your heart, and reconnect with the infinite divine light, which is always available to you and is your authentic truth. Think or say, I am one with the infinite power in the universe. I reclaim my power from this illusion now. For your truth is oneness with divine love, grace, joy and ease. If what you are experiencing is not in alignment with this, reclaim your power and step back. Step into love and allow the challenge in your life to be, but reclaim your power from it. This has a ripple effect throughout your entire experience, throughout everything. And when the challenge is too hard, too real, too vivid, and when the struggle is too intense, simply think or say, Angels, help me to reclaim my power from the illusion now, help me to return to direct alignment with divine love, help me to return to the knowing of my authentic nature. And we will assist you in aligning with the truth and love that you authentically are. And so, what is the next stage? It is coming into harmony with the universe. It is coming into oneness with the infinite light and power that you are. There’s so much support in every moment, including from your team of guides and angels who are here now, who step forward with a sign, a feeling and a validation that they are here, who step forward with encouragement, love and rejuvenation for you. Be willing to walk through the open doors, to leave behind the limited way of experiencing your reality, and step into truth, into your authentic, unlimited oneness with all, with the Divine, with the infinite power in the universe. You are one with this. Create, be present and allow this to create a brilliant ripple effect throughout every aspect of your reality. This is the paradigm shift you are experiencing now. This is the new phase of life, which is opening its doors. Unlimited spiritual being in physical form, when challenges appear, know that they do so to offer you the opportunity to reclaim your power, to see through the illusion, to witness the underlying truth of infinite blessing, divine love, and to live in alignment with your unlimited, high vibrational, magnificent truth—the full presence of your higher self and spiritual being, who is one with God, goddess, the Divine and all. And when your heart is open, when you are present and aware, you allow this full presence to align with you in this now—to harmonize your body, mind, soul and spirit, to realign your path with the highest vibrational possibility, with the infinite power and magnificent love, which has always been your truth. You are stepping into living in harmony, in alignment, in oneness with that now. Before your team of guides and angels and I, Uriel, step back, we flow a final surge of frequency, a blessing of light to replenish your energy, to uplift your vibration, to soothe, balance and restore your light and your connection through your open heart, with the infinite blessings available to you at all times. ask our angels to assist us is reassuring and uplifting! Thank you Melanie for this awesome meditation. Thank you for being a beacon of Divine Light. Thank You for a beautiful experience. Hi Melanie, I received the angels free reading that you sent me,it was so beautiful.I didn’t know that I have angels been watching over me.thank you so much for sharing it to me how to connect my own angels.I have something to shared with you it’s my experience since 2oo7 I have been seeing a very shiny light I don’t know what it is but I was thinking it’s only my imagination.what really made me wonder why is this light it will come and go I just don’t understand it.could it be those very shiny light I’m seeing is my angel trying to connect to me.bcuz the last time I see that very shiny light is 2012 and then I didn’t see it anymore until now. thank you again and God bless you. Thank you so much Melanie. I feel so blessed and I love all the mediations. Love and blessing. Thank you so much Melanie from my son Krish & me. Thank you very much Melanie , I have a feeling of peace and well being. Thank you for you nice meditation. I am going to save this meditation and use it often. God Bless And Keep You Well Always.Thank you from the bottom of my heart. My head was full of clutter, unclear visions.. after releasing and Uriel clearing, I feel so much better. In gratitude…thank you for this uplifting and important message. Kind of you to share it for free. Thank-you Melanie for this messages abd guided meditation that Was meant for ME! I am on a weekend “quest ” to havie a sittning with My guides and them continue on to a Viking cerimonial place to meditate. I woke early (5am) and found this meditation waiting for me! Thank-you! Thanks so much for this message, Melanie. This message felt true to me. The last few days felt like some clarity or shift was going to happen at the end of this week, and I believe this is it. Thanks again. Hi I am facing a problem in getting married so pleas suggest me what can do for this. Thank You! This is truly timely and beautiful! I have been feeling the opening of the portal to the next step of my earthly adventure and I feel great love and appreciation for every experience up to now as I recognize how important and right for me each one was. Your appearance in my life is also appreciated as I recognize how divinely timed each encounter is. I have always felt the presence of my guides and angels in my life. All is well! Could I PLEASE get this meditation as a print out?